The two best sides in world rugby are going head-to-head. It is only fitting, then, that the best rugby show in Ireland is having a big night of refreshing insights, bold predictions and great stories. 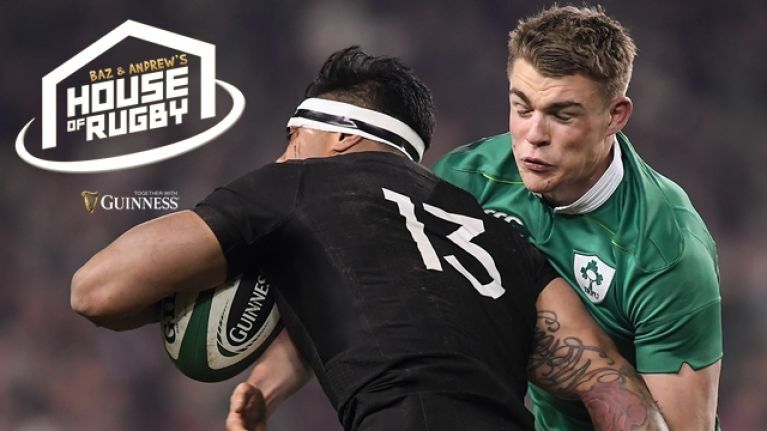 Ireland face the world champion All Blacks at the Aviva Stadium on Saturday, November 17 (5:30pm kick-off) and we've lined up one hell of a preview show. 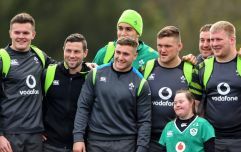 Joe Schmidt's Grand Slam champs will take on the world's number one side and this is the perfect opportunity to fire a hefty shot across the bows in advance of the 2019 World Cup. To look ahead to the game, Baz & Andrew's House of Rugby are going on the road for a special, live event. Former Ulster and Ireland winger Andrew Trimble will be on hand, at the Guinness Open Gate Brewery, to host a fun night with some very special guests. Andrew was part of the Ireland side that beat the All Blacks for the first time in the country's history, in November 2016 at Soldier Field. Two-time World Cup-winning All Blacks legend Conrad Smith will be in attendance, as will Leinster's Kiwi try-scoring sensation James Lowe. More stars from Irish rugby will be confirmed in the coming days. There will also be a chance for a lucky audience member to WIN TWO TICKETS to the Ireland versus New Zealand clash. Come to Guinness' Open Gate Brewery, for the perfect scene-setter to one of the most anticipated games of the year. WHERE: Guinness Open Gate Brewery, James' Street, Dublin. WHEN: Wednesday, 14 November. Doors 7pm. Show starts at 8pm. WHO: Andrew Trimble, Conrad Smith (All Blacks legend), James Lowe (Leinster & Maori All Blacks) and more star guests to be announced. HOW: Register on the form below. Tickets are, of course, FREE but also limited, so please fill out the form below to get yourself in the draw for an unmissable night of proper football chat. If you're successful, we’ll be in touch before the end of the week with instructions to download your tickets. Yes. I.D. is required as this is an over 18s event. Management Reserve the Right Of Admission.